Is there a way for me to "split" this massive display into two, virtual 1920x1080 displays so that windows will maximize properly, one to each monitor? The behavior you want to control (how windows behave) is controlled by the window manager, which gets its information from the server's XRandR extension. Neither of these are likely to have any "hooks" that will let you alter anything. This reduces you to hacking the source. Altering what the server reports to the window manager seems really ugly -- you do want it to report what it actually sees everywhere else. This leaves editing the window manager (or hiring someone else to do so, or asking upstream for some support). It shouldn't be too unreasonable to hack in a special casing of RandR events to treat a 3940x1080 resolution as two 1920x1080s. Actually adding a configuration option that might be accepted upstream would be harder, of course. So, unfortunately, I can't think of a solution, unless you're willing to dive into the code. Well, you could run a couple Xnest instances, and position them in your monster display so that each took up the space of the physical monitors. As long as you aren't doing someting too graphic intensive, it'll probably work just fine. The Xnest wikipedia article is also worth a peek. Not the answer you're looking for? 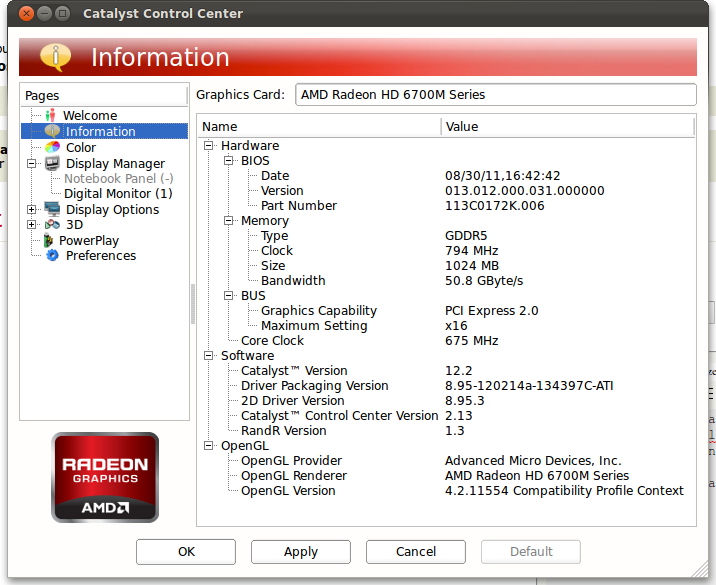 Browse other questions tagged ubuntu xorg monitors fglrx or ask your own question. 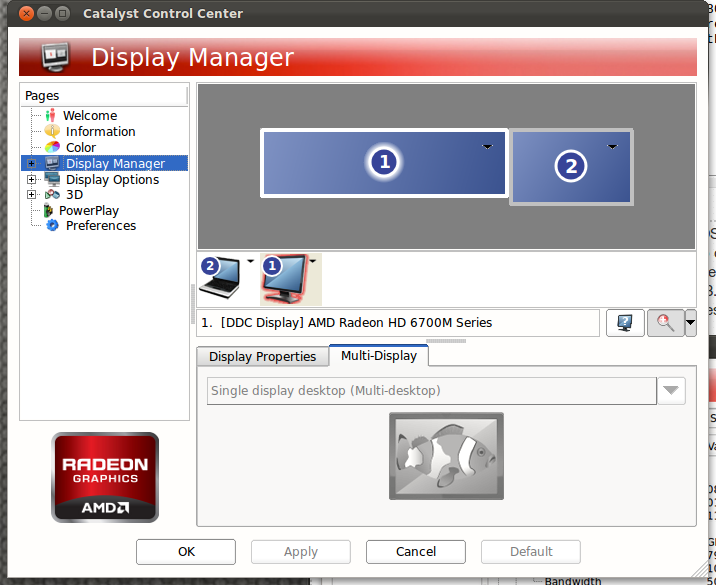 How do I set my monitor to widescreen mode in Mint when it doesn't recognize widescreen capability?